LMM Logo'd Articles Now Available. 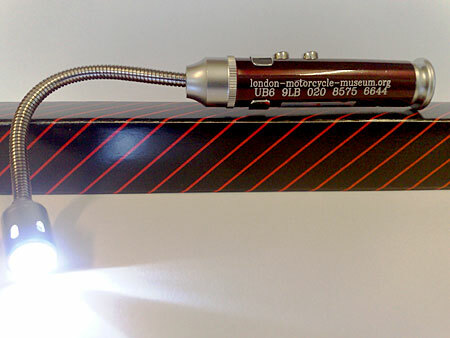 LMM Promotional Bendy Magnetic Torches. These handy bendy torches with magnets and laser pointer cost just £5.00 each inc postage anywhere in the UK. They are also for sale in our Museum Shop.